Specialists on North Korea have cited many reasons over the years for why China cannot be relied on to stop the DPRK from continuing its nuclear and missile buildup. The reasons are by now quite familiar, and have mostly to do with China’s fear that pressuring Kim Jong-un’s regime will destabilize it and produce a chaotic situation adverse to China’s security interests. Yet US administrations have consistently proposed that China is the key to resolving the standoff with North Korea—that if only Beijing would exploit its economic and political leverage with Pyongyang, Kim will be forced to knuckle under. Today’s news that Secretary of State Rex Tillerson had, perhaps unintentionally, revealed ongoing US efforts to coordinate with China on the removal of North Korea’s nuclear weapons in the event of a political collapse in Pyongyang further undermines the notion that China has usable leverage (www.nytimes.com/2017/12/17/us/politics/tillerson-north-korea-china.html). North Korean experts read the newspapers! They have surely known for a long time—and today’s news only reinforces it—about US-China consultations on North Korean nukes. Now Tillerson has confirmed them, saying “We’ve had conversations with the Chinese about how that [removing the nukes] might be done.” US sources may say that their Chinese counterparts have resisted reaching an agreement that would avoid a clash should both armies move into North Korea in the wake of a collapse. But the North Koreans have no reason to believe that, and every reason to think this is further evidence of Chinese-American collusion to undermine their regime and occupy their country. To be sure, if the day ever comes when the Kim dynasty implodes, securing nuclear weapons will be important, and ensuring against a clash between Chinese and US forces will be essential. But raising these matters in public could not come at a worse time, for it only confirms the North Koreans in the view that regime change is a common subject of discussion between Washington and Beijing. 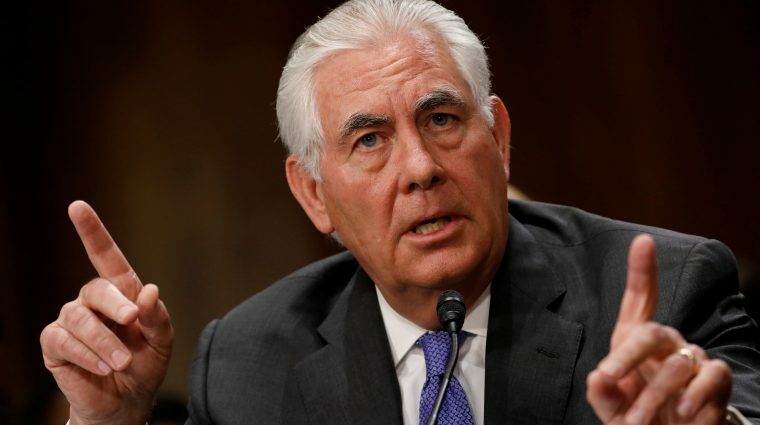 Their suspicions can only further undermine what little remains of Tillerson’s idea of direct US-DPRK talks without preconditions—and give North Korea’s hawks more reason to push for completing work on nuclear-tipped ICBMs. Previous APB: Momentum for Talks with North Korea?